Citizen 2.0 is a hilarious romp that explores social issues relating to the use and expansion of the Internet. Topics such as global expansion and dealing with inferiority complexes are discussed in such a way that is immediately relatable. Blue uses personal anecdotes to turn seemingly mundane topics into engaging literature. The book structure follows the skirt rule; short enough to be interesting, but long enough to cover the subject. This afternoon read will leave you entertained and inspired to participate. 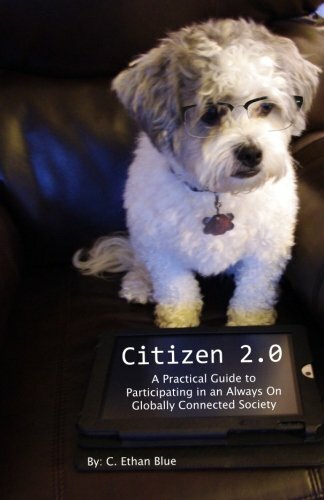 For anyone with a passing interest in education, social issues or technology, Citizen 2.0 is a must read!